State-of-the-art Lasik laser vision correction at the Caster Eye Center is an extremely patient-friendly, two-step process: a pain-free 16 second laser treatment followed by a pain-free 10-30 second laser treatment. A relaxing pill (Xanax) is usually given before the treatment, so you must not drive until the next morning, but you can return to driving and work the very next day. No anesthesia (except eye drops) is needed, so you are free to get up and go immediately after your treatment. This life-changing treatment could not be easier, faster, or safer! Dr. Andrew Caster uses his knowledge and the experience gained through more than 30,000 laser treatments to plan and carry out each individualized treatment. All consultations, treatments, and office visits are performed personally by Dr. Andrew Caster. You deserve this level of quality, individualized care! The first part of the all-laser Lasik treatment is the laser creation of the protective flap. 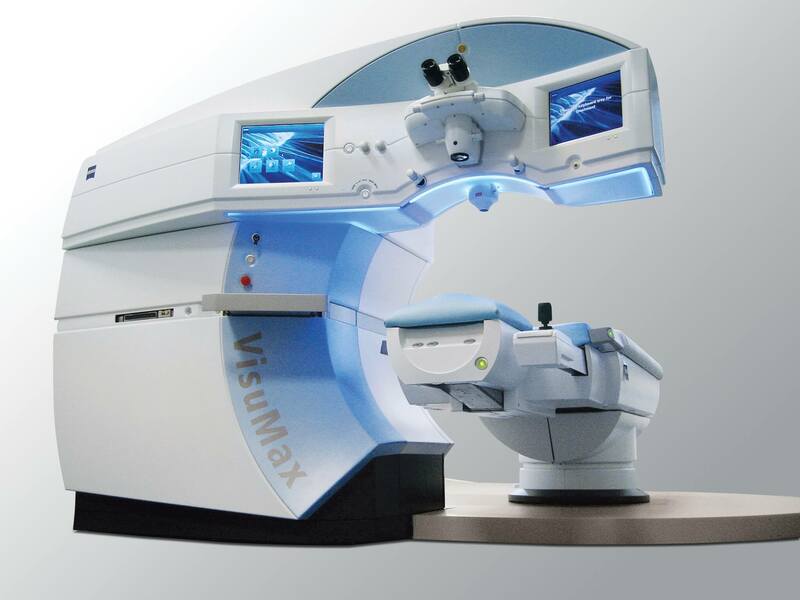 Using the state-of-the-art Zeiss VisuMax laser, this step is ultra-gentle and ultra-fast. The treatment with the Zeiss laser is completely pain-free. No pain! No other laser used in step one can make this claim. Only Zeiss. And it takes but 16 seconds. Great vision could not be easier! Step two is performed with the Alcon Allegretto laser. Just like step one, this step is completely pain-free. No pain! And step two is also amazingly fast — the average treatment time is 10-30 seconds, depending on your prescription. We are able to treat low, medium, and even very high levels of nearsighedness, farsightedness, and astigmatism. The laser tracker follows your eye throughout the treatment, so you do not need to worry at all about your eye moving. We use the Allegretto laser for step two because it is the most accurate laser in improving both daytime and nighttime vision. (Humans all see better in the daylight than in the dark.) In fact, the Allegretto laser is the only laser approved by the FDA that improves the nighttime vision compared to the vision with glasses and contact lenses, with on average improved night halos/glare compared to glasses and contact lenses. So no glasses or contacts, and on average less night glare than you had with your glasses and contact lenses. 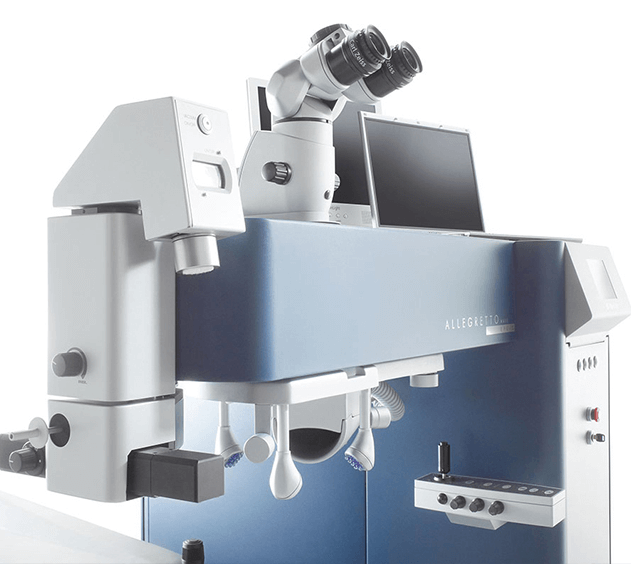 Allegretto Laser: there is absolutely no pain. After the second laser step, you sit up, walk out of the room, and you are free to go.